On the three-year anniversary of the landfall of Superstorm Sandy on the New Jersey coastline, state officials announced the buyout of three homes in Linden under the Blue Acres program, in which the state purchases flood-prone properties and preserves them from future development. About 40 homes in the North Jersey town have been identified for potential buyouts, with properties in similar communities in Middlesex County and the Delaware Bay regions having already been purchased. But in Ocean County, where waterfront property values dwarf those in the grittier bay and riverfront areas of Linden, Sayreville and elsewhere, the state has not made a single purchase since the storm. The interest has been relatively minimal, according to state officials. The state received about 1,200 applications from interested property owners for buyouts. In Brick Township, there were between 10 and 49 applications filed, according to state data compiled by NJ Spotlight, a public policy website. There were 3 applications filed in Toms River and one in Seaside Heights. In Mantoloking and Lavallette, where property values are among the highest in the county, zero applications were filed. In similar high-value barrier island communities such as Surf City, Barnegat Light and Harvey Cedars, there were – likewise – no applications for funding. Not a single Ocean County town had more than 50 individual applications from property owners. Despite the relatively minimal interest in the program, some environmentalists have promoted buyouts as a way to prepare for what they see as an impending threat from climate change and sea level rise. 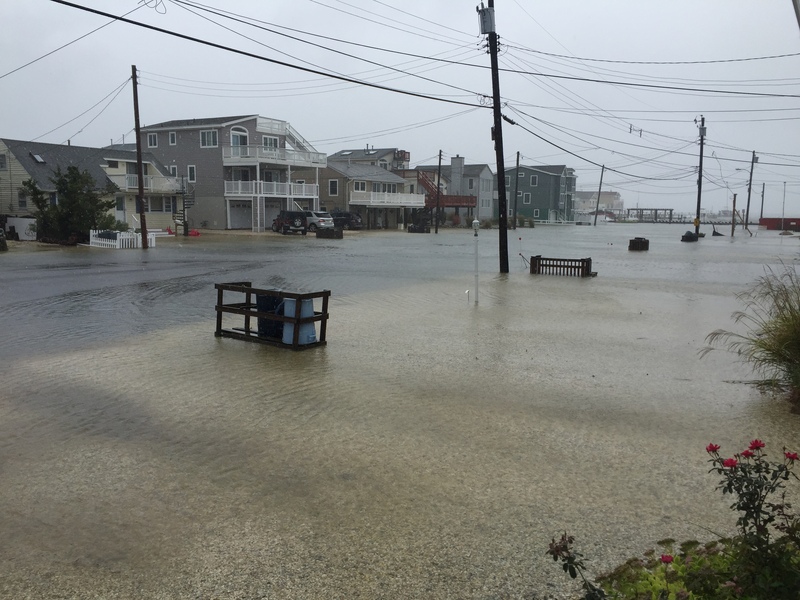 “Without buying coastal properties and promoting development at the shore, we believe there is no adequate planning for flooding impacts and future storm surges,” the New Jersey chapter of the Sierra Club said in a statement. Blue Acres, however, is not designed to be utilized by single homeowners, state officials have said. The state has targeted large groups of willing residents so entire blocks or neighborhoods can be bought out. If an entire neighborhood’s worth of homeowners were not willing to sell, single homes would have to be demolished, leaving open spaces in the middle of residential streets, which could potentially exacerbate flooding issues.